Unitarian Universalists covenant together to affirm and promote the free and responsible search for truth and meaning. UUs also covenant together to affirm and promote the inherent worth and dignity of every person. These two principles raise interesting questions of deep down what do we mean by the word "person" and where does one find this thing we are attempting to describe? The search for the person is not without but within. If one goes within what will one find? It is a well established scientific fact that we project our thoughts, beliefs, past experiences, and emotional reactions onto current objects. We don't see what actually is there but what we think we perceive. As the slogan says, "Perception is reality." In this sense, we create our own reality. If you believe you are a good person living in a good world, good things will happen to you. If on the other hand, you believe you are a bad person living in a malevolent world then bad things will happen to you. This principle of projection is a fundamental law of the ego. This law is below the level of consciousness for most people. They do not realize that the "reality" they are creating, continually, isn't real. On the one hand, projection is a product of our experience. The bumper sticker says, "Good judgment comes from experience and experience comes from bad judgement." However, we have the ability to be mindful. We have the ability, stronger in some than in others, to examine and reflect on our experience, and manage it. Rather than being reactive we become responsive. 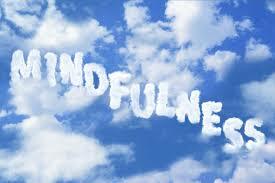 Spiritual teachers tell us that living the good life entails meditation or some call it now days, mindfulness. I call it the "witness." To what extent does a person have the capacity, the skill, to just observe his/her own functioning? This power of observation of one's own functioning is the key ingredient in the spiritual life which brings one to peace and joy and heaven on earth.